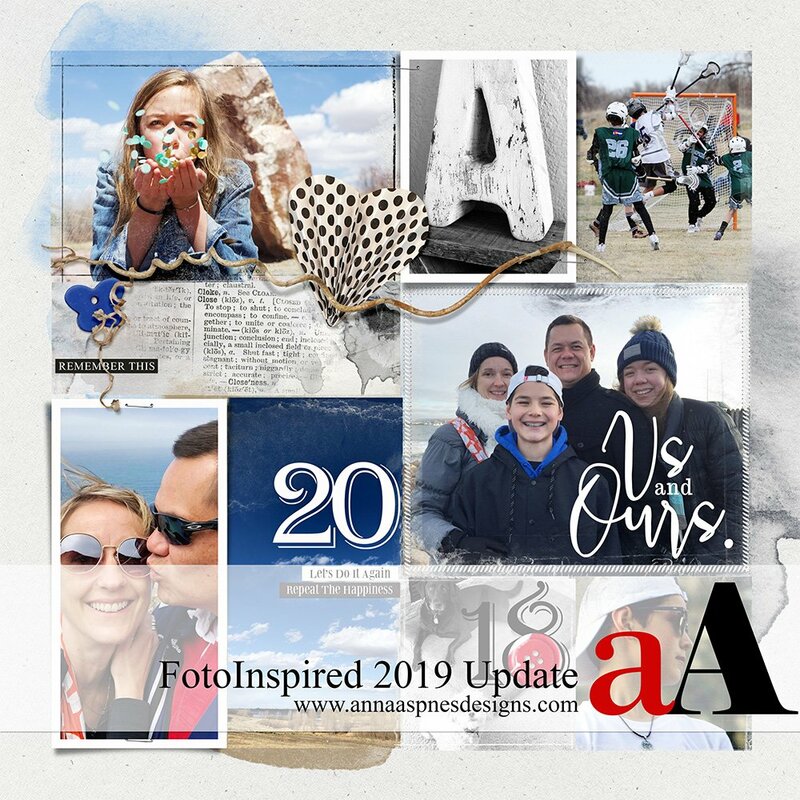 Today I’m sharing a FotoInspired Update 2019. FotoInspired is making another comeback in 2019. I fell off the wagon in year 2016 and took a break from the FotoInspired project for about 18 months. It consequently took me about the same amount of time to catch up and was finishing pages into last year. Every time I look back at my pages I become even more motivated to continue. Last year I also vowed to make a concerted effort to print my pages. And I began the process of catching up on that process when finances allowed. Seeing them in printed, in albums, viewed as a body of work, definitely makes me want to do more. 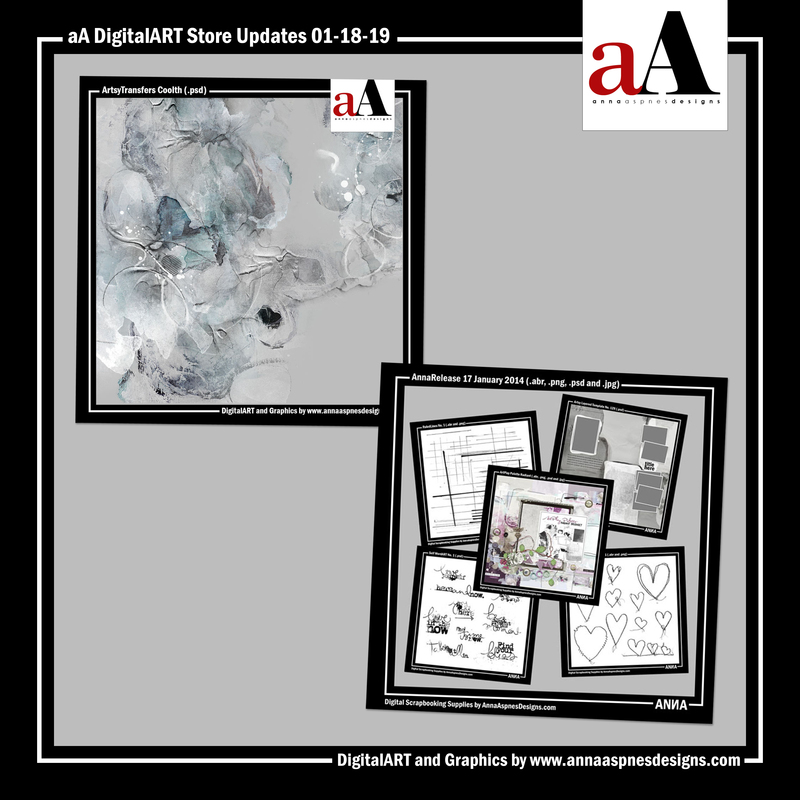 The creation of digital scrapbooking and artistry layouts that combine every day photos with DigitalART in an artsy fashion. There really are no rules and you can make the project whatever you want it to be. You are welcome to use whatever software program and DigitalART supplies that speak to you. 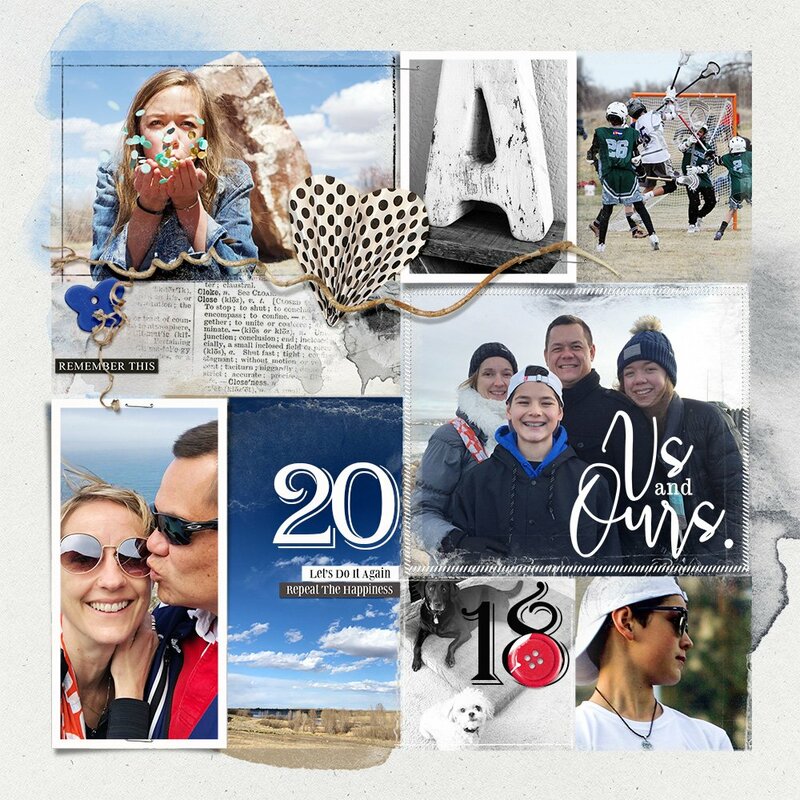 I personally use and recommend Adobe Photoshop (or Elements) with the FotoInspired series of products and templates by Anna Aspnes Designs. Approaches and techniques will not change from previous years. If it isn’t broken then don’t fix it. 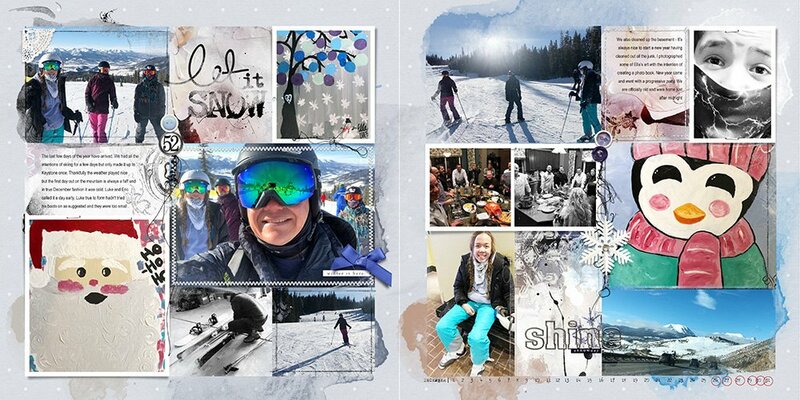 The number of pages I create will be dictated by the number of photos I take in any given month. 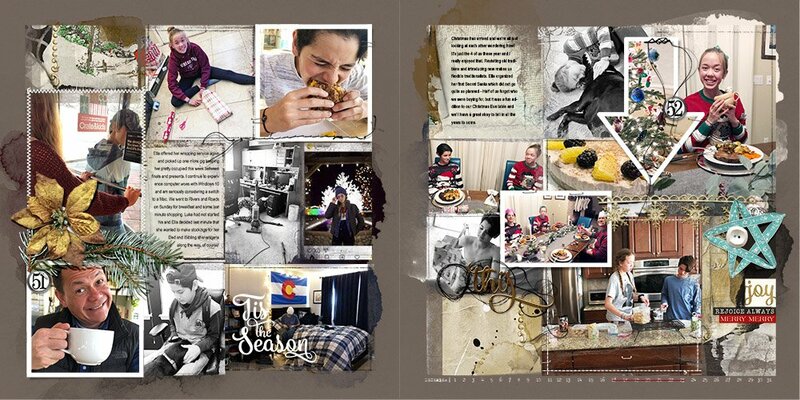 A double-page spread may accommodate 1-4 weeks or even a whole month. There may also be multiple spreads for just one week. 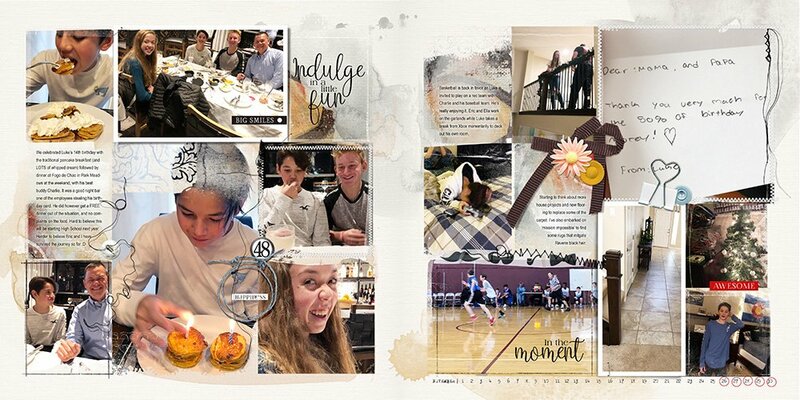 FotoInspired layout creation is scheduled in my calendar for Sunday afternoon/evening in order to make it happen. 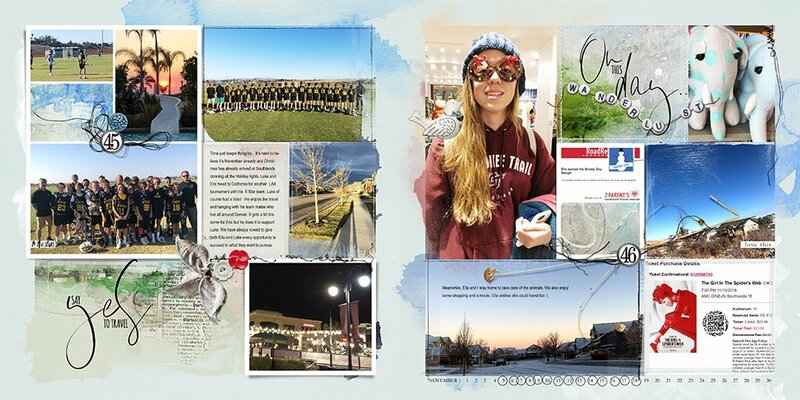 Templates are combined with DigitalART and photos to create my artsy Project Life style pages. See my FotoInspired 2018 plan. 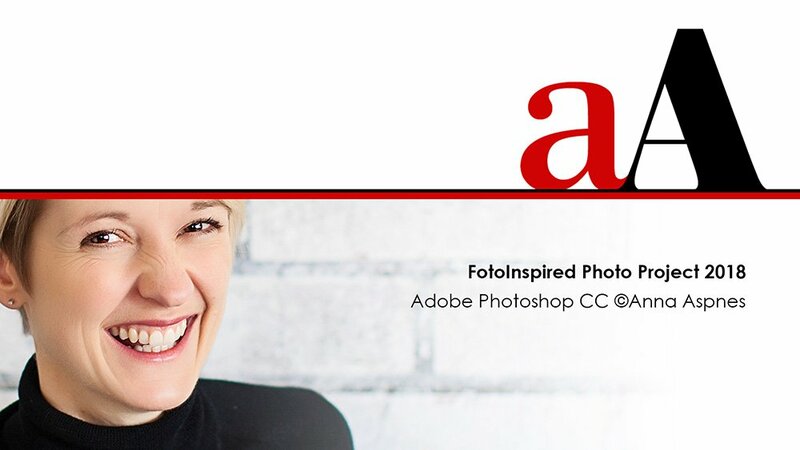 Join the dedicated FotoInspired community on Facebook for support and inspiration. I post my pages in this space as I complete them and have just completed year 2018. Looking forward to sending this one to print. Do You Need A Title Page? When you print your pages you can literally ‘see’ the gaps in your project. If you work in double-pages like I do you’re always going to have a ‘blank’ page at the beginning of any album. Lots of people create their title pages at the beginning of the year but I like the idea of doing this at the end of the project. This provides the opportunity to include some of my favorite photos of the year as an introduction to the album. Would love to hear your thoughts on the matter. Post in the comments below or head on over to the FotoInspired Facebook group. Love reading about your process and I’m sure your albums are outstanding. I have been running with the idea of a devotional/inspirational album for this year. Thanks Fran. I say go for it…What’s the worst that can happen? You’re right about the first page…I always leave that to last. The other way I’ve been using FotoInspired lately is to create a facing page to a previously constructed non-template or Artsy Template page…sometimes it’s just not possible for me to work at 12 x 24, as with my daughter’s wedding book, which has an overwhelmingly vast number of photos. 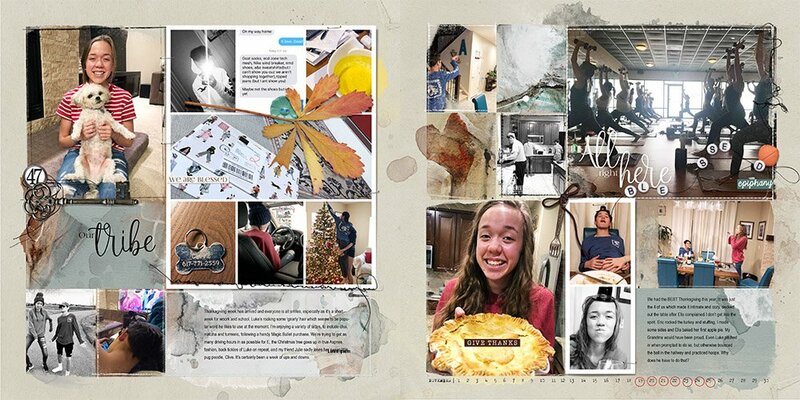 In that case, I often find myself doing a FotoInspired page as the second part of the spread and then it’s just a matter of tweaking the centerfold so there aren’t abrupt edges where the pages meet. It’s not a perfect solution, but it sure speeds up the process. Linda has done this in the past also. Good plan.